In the past decade Muslims in Europe have been the subject of heated debates on the place and role of religion in the public space. Research into the issues involved has often used visible and formalised expressions of Muslim religiosity as its empirical point of departure. 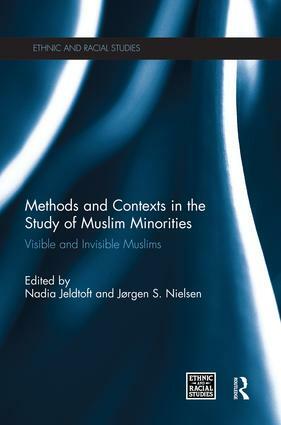 This book instead examines the microlevel workings of Muslim minority religiosity to offer a new perspective on these debates. Contributors to this volume examine the forms of Muslim religiosity which are not dependent on the official or semi-official settings of organised religion. These ethnographic studies investigate a range of examples of non-organised Islam, ranging from salafi-jihadism, to converts to Islam, to everyday spiritualities of Muslim in Europe. By exploring these neglected forms of Muslim religiosity, this book is able to build up a more nuanced picture of the role of Muslims in Europe. It will be of interest to academics, researchers and graduate students of Religion, Ethnic Studies, Migration Studies, Sociology and Political Science. This book was previously published as a special issue of Ethnic and Racial Studies. Nadia Jeldtoft is a PhD Fellow at the Centre for European Islamic Thought in the Faculty of Theology at the University of Copenhagen, Denmark. Jørgen S. Nielsen is Danish National Research Foundation Professor and Director at the Centre for European Islamic Thought in the Faculty of Theology at the University of Copenhagen, Denmark.